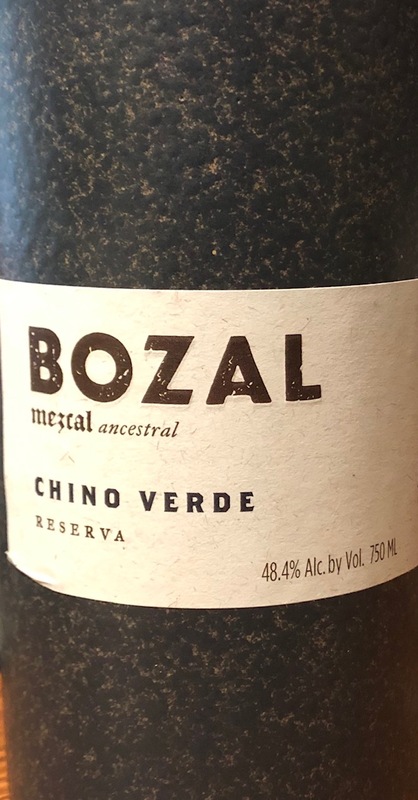 Bozal Chino Verde is made with the wild and rare Chino Verde agave, which was foraged from the Sierra Madre del Sur mountains. This subspecies of the Karwinskii Family of agave grows vertically as a single stalk with its leaves spreading at the top. This agave is also simply known as agave Verde in other communities in Oaxaca. This mezcal is distilled in small clay pots in Sola de Vega. 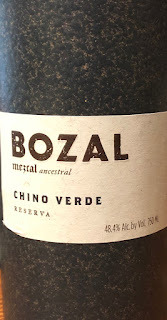 This is part of Bozal’s limited Reserva collection. For years, the only way to sample this was to visit our distillery in Tequila, Jalisco. Until now. All the work at Manoir du Kinkiz is done with the utmost respect for nature. They use no herbicides in their orchards, and they allow indigenous plants and grass to grow between the trees. From the ladybugs that rid their orchards of insects, to the almost mystical darkness of the cellars where their AOP Cornouaille cider is aged in huge oak casks, Kinkiz is making a genuine attempt to return to the hands-on, artisan production methods of their ancestors. In Brittany, cider is traditionally served in ceramic bowls (Bolée) rather than glasses. However, we often drink it in wine glasses, in order to get the full benefits of all of the aromas in the cider. That said, a pint glass works fine as well. Cider is often served in Brittany with crepes, or a “Kig ha farz” (local pork stew). Manoir du Kinkiz’s dry crisp ciders are also a great match for roast pork loin, pork chops, turkey, fish & chips, or simply as an aperitif. Cider is also a nice gluten-free alternative to beer. Forego the apple picking—these five complex French ciders are far more interesting ways to engage fall’s favorite fruit. Manoir du Kinkiz Cuvée Blanche; $26. 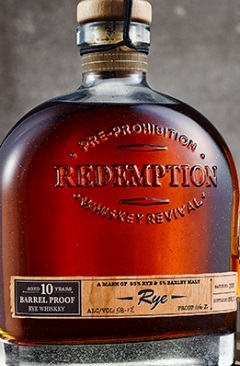 Limited-production small-batch keeving has imparted ripe stone fruit and elegant florals to this golden pour, making the Kinkiz (pronounced keen-kees) a downright turn-on. Perfect for a cozy night in with someone special. This cider is made from a single variety of apple called Guillevic. The Guillevic is an old apple variety known for its golden, almost white juice. It undergoes a slow fermentation, during which it develops complex flavors and aromas that range from wild roses, to white peach, and tart citrus fruit. The "Cuvée Blanche” is fermented dry (brut) and is devoid of any bitterness. 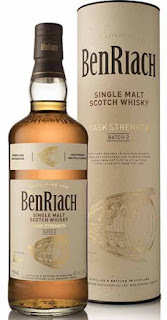 Its aromas are particularly elegant, and bring an amazing brightness to the palate. Long ago people referred to this cider as “le champagne de nos campagnes” “the champagne of our countryside”. The Cuvée Blanche should be served cold, and is great accompanied by fruit desserts or even chocolate cake. However it is also good by itself as an aperitif. The combination of the delicate Guillevic apple, low alcohol, and long fermentation give this cider an almost magical lightness. 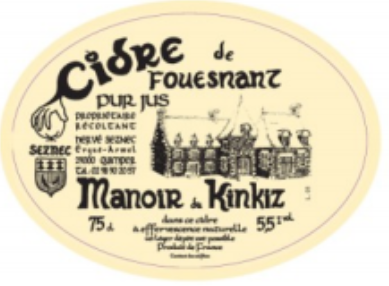 Manoir du Kinkiz - Cidre de Fouesnant 5.5% alc. by vol. – Naturally Sparkling 100% pure juice Fouesnant is a commune on the south coast of Brittany (Finistère) in northwestern France. Fouesnant is renowned for its orchards and is regarded as the source of some of the very best Breton cider. Kinkiz’s Fouesnant cider is assembled from old apple varieties, all harvested by hand. The apples are then sorted manually, and pressing is done only when the fruit is at its peak ripeness (from late September to December). The fermentation is slow and ends with a 2 and ½ month bottle fermentation, giving the cider its very fine bubbles. This cider has a lot of personality and is well-defined by its roundness, persistent flavors of freshly cut apple, complemented by notes of butter, and hazelnut. 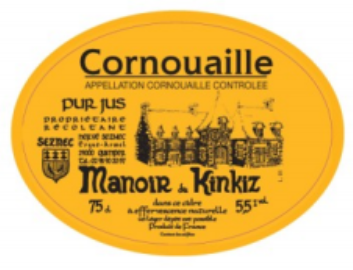 Manoir du Kinkiz - AOP Cornouaille 5.5% vol. – Naturally Sparkling 100% pure juice Cornouaille occupies the southern fork of Brittany’s peninsula. The name Cornouaille comes from the Celtic tribe, Cornovii, which translates to "the peninsula people”. Kinkiz’s AOP Cornouaille cider is produced in accordance with all of the rules that help to distinguish this great terroir. These rules include restrictions on the varieties of apples allowed to be used, and strict controls over the method of production. Cornouaille AOP cider has a deep golden color, and is very aromatic. 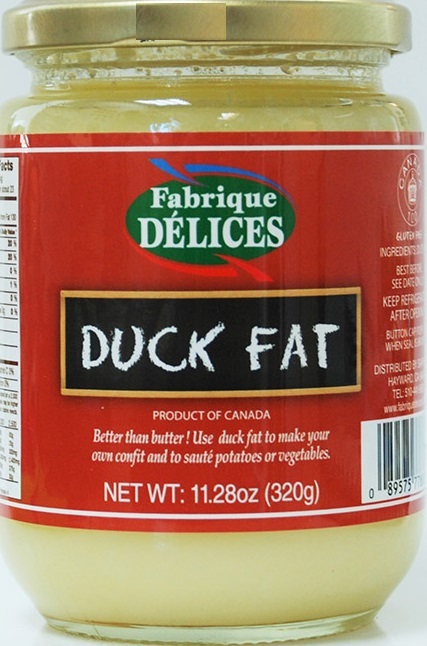 It is rich, mildly bitter-sweet, and leaves the mouth pleasantly refreshed. This is a cider that is all about pleasure. While it is thirst quenching, it is a great accompaniment to a meal, and can be easily incorporated in creating inventive cocktails. "BAM!! That’s how the bittersweet tannins hit you when you take that first mouthful. It was like you where thrown into a fighter jet and hit top speed in matter of seconds. Your lips and the insides of your mouth immediately grip onto your teeth like superglue to wood. But in saying this though, it was crazily addictive. The tannins were high yes, but beautifully powdery and super fine. There was a stunning rich upfront sweetness, which was not cloying or heavy from the super ripe apples used. The palate was all tied in with a nice level of mild acidity. The apple notes along with the brett, carried onto the palate which made the whole experience very authentic. So really It was a very traditional and rustic palate, but super approachable to anyone new to these farmhouse styles. We certainly liked it!! 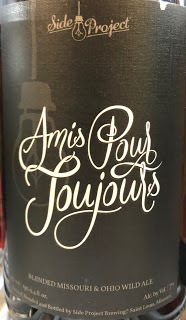 A rosé with serious intentions, this has a delicate pink hue and floral strawberry and spicy yeast roll aromas. 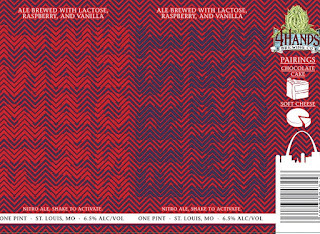 The flavors show good focus, offering raspberry, Gala apple, ginger and fig flavors. 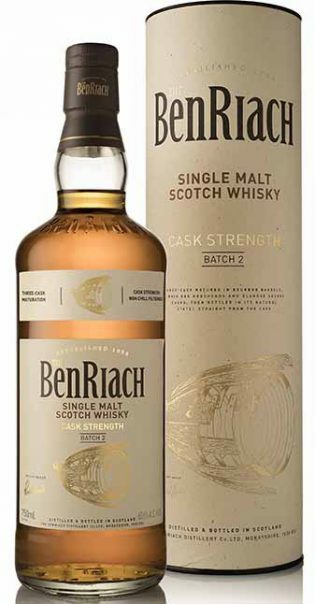 Delicately rich, with a hint of maturity, offering plush notes of roasted nut, Asian pear, cinnamon brioche and spice. Drink now. 6,800 cases made. A creamy texture, buttery aromas and subtle ginger flavor make this wine from Schramsberg generous, complex and easy to love. Bosc pear, white peach, powdered ginger and cinnamon all combine for good complexity and concentration. 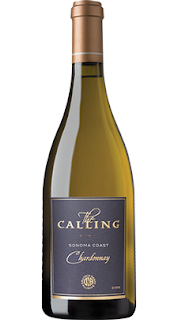 Chardonnay leads the blend 68% to 32% Pinot Noir. 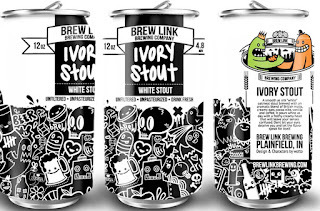 Friday April 12th from 4-6pm. Plus we will open at 4pm until gone! Master winemaker Bob Cabral has summoned his legendary skills to craft a wine worthy of the Iron Throne. 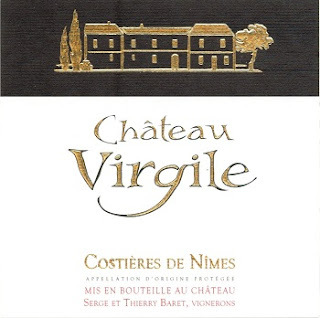 Sourced from the finest winegrowing kingdoms of the land, it is as complex as the tales and histories it acclaims. Revel in the winemaker’s art, for winter is here. Winemaking The individual lots of wine were racked at the completion of malolactic fermentation in the winter following harvest. Each lot was then aged separately until late fall of 2016 when the components were thoughtfully evaluated and each was meticulously selected for its individual contribution to the overall painstakingly handcrafted blend. Nitrol ale - shake to activate! 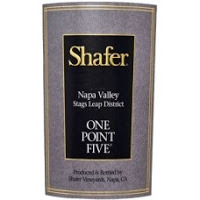 Made of 100% Cabernet Sauvignon, the 2016 Cabernet Sauvignon One Point Five Stags Leap is very deep purple-black in color and gives up intense Black Forest cake, black berry pie and blackcurrant cordial scents with hints of licorice, eucalyptus, espresso, tar and chargrilled beef. 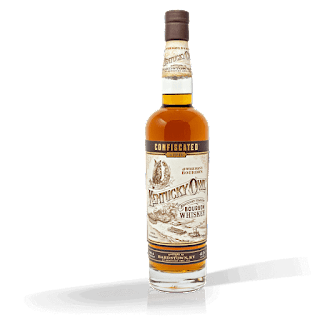 Full-bodied, it packs the black fruit preserves flavors and earthy accents into the palate, with a firm frame and great freshness on the finish. Very strong and pure aromas of blackcurrants with violets and lightly herbal notes, leading to a palate that has dark-mineral allure. This delivers attractive, ripe dark berries with a very long, focused and assertive, neatly cut finish. Elegance with power. Drink or hold. 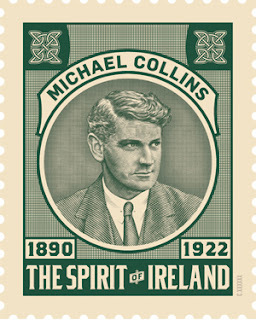 (lowest price on Wine-Searcher is $29.99)Sazerac is bringing back Michael Collins Irish Whiskey brand purchasing the rights to the brand. 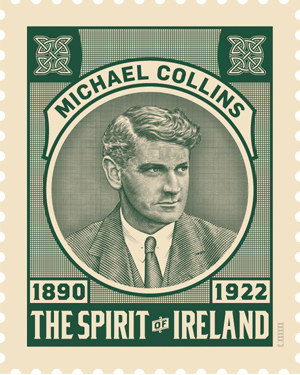 This is the first release from Sazerac which plans to use its own stocks of Irish whiskey to produce new expressions of Michael Collins. More of Batch #2 in stock of all three! Together with THE DARK, THE LIGHT shares the story of the noble Viking warriors who are our ancestors, of our contrasting island seasons and of the intense balance of our whisky. Light and dark are concepts that exist in opposition, yet together create a perfect balance. One cannot exist without the other; as one appears, the other disappears; together they create something greater than themselves – in nature, a perfect, continuous cycle. 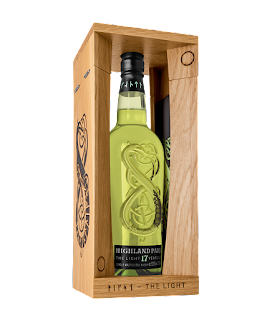 In THE LIGHT– a special release of only 28,000 bottles – we celebrate spring and summer in Orkney; a time to emerge from our winter’s hibernation, renewed and refreshed with a spring in our step, ready to embrace the warm bright days of summer. Presented in a beautifully embossed green glass bottle, the serpent dragon design takes its inspiration from the great Norse sagas and embraces both the high sun of the summer solstice and the low sun of the winter solstice – the polar opposites of our island seasons – while the runic writing reflects the ancient carvings of our Viking ancestors which can still be seen today, here in Orkney. Names then gave they to noon and twilight, morning they named, and the waning moon, night and evening, the years to number.